From birth, we humans are blessed with a natural ability to resist viruses and bacteria and to recover from many illnesses. This ability is called immunity. But, due to age and many other factors, such as the environment and stress, our immunity may weaken. When small foreign objects enter our body, macrophage cells, which are known for their enormous appetites, take immediate action and incorporate these foreign bodies inside themselves by digesting them. Macrophages take similar action toward cancerous cells. Whenever several enemies enter our body, macrophages give the command to attack to their associates – the T lymphocytes, of which there are four types: helper T cells, killer T cells, suppressor T cells and memory T cells. When a cancerous cell is identified, killer T cells try to open a hole inside the cancer cell membrane and infuse protein-splitting enzymes into it. Helper T cells do not attack directly, but instead release interleukin-2 (IL-2), interleukin-12 (IL-12), interferon gamma (IFN-ɣ) and other cytokines and thus strengthen the immune system by activating macrophages and killer T cells. The suppressor T cells give the command to stop an attack when there are no cancerous cells (or other foreign bodies) left in the vicinity. Memory T cells remember the characteristics of the enemies to maximize the efficiency of future attacks. Moreover there are also the natural killer cells (NK cells), which initiate attacks against foreign bodies (including cancer cells) independently of the other cells. NK cells destroy undesirable cells by breaking their cell membranes. 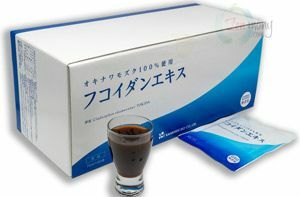 It has been confirmed in several studies that fucoidan increases the production of interleukin-12 and interferon gamma. Interleukin-12 is made by macrophages and B cells and is known to stimulate T cells and NK cells, which in turn stimulate the production of interferon gamma. Interferon gamma is a lymphokine (a biologically active agent) and is effective against viruses and cancerous cells, and even acts to stimulate macrophages and NK cells. 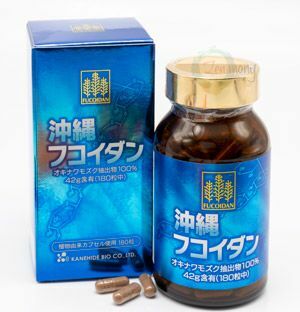 Thus, fucoidan indirectly achieves one of its anticancer effects, immunomodulation, by activating immunocytes – the cells of our immune system. Please have a look at our fucoidan products. 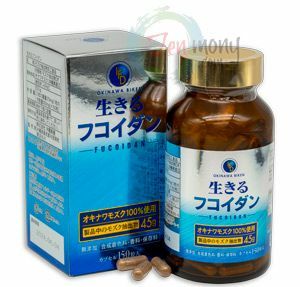 Okinawa Ikiru (Live) Fucoidan Kanehide 45000mg - High Content Fucoidan.